The Evil Geniuses Master’s Cup Series League will feature 12 teams in a round robin format with each team matchup containing at least four best of three games between two teams. The top four teams at the end of the season will advance to the playoffs on a two day live broadcast weekend. Your vote: Who do you think will win? that is actually a good draw for this I am excited! It's actually ROX.KIS, not Empire. 4:0, 8:0 ROX, they won't drop a map, calling it right now. 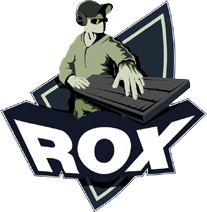 Dignitas is much weaker than ROX.KIS on paper and the Russians got great matchups as well. roxkis should take this 3-1 if not 4-0.. it would be an upset if this went to an ace match! You're a mad man. Bischu will beat LZ and Bling should beat Pomi. On what do you base that Bling should beat Pomi, just curious :p? Also RoX.Kis should win this fairly comfortably I think. I feel like it'll depend on which way Bling/Pomi goes and whether Select will be able to cheese out TitaN (:D). Fraer has a good shot against JRecco (his PvZ is his best mu by far imo, he's like Nerchios kryptonite), and LZ Bisu will be close but I'd be inclined to give LZ the advantage, based on the state of the MU and Bischus PvZ in general. I don't think it will be as one-sided as everyone is calling it now but I still think Rox has the edge. Dignitas should win this 4-0 or 3-1 wont need an ace match. SeleCT should beat Titan if SeleCT decides to show up, BlinG can definitely be Pomi and Bischu will be LZ with 100% certainty. I would almost never predict something with 100% certainty. Especially Bischu vs LZ which is 50/50 in best case for Bischu. PvZ is actually Bischus weakest matchup. He wins 49% while LZ wins 62% of ZvP. LiveZerg also won their latest encounter. Fraer is a Zerg killer. He is 13-3 vs Nerchio. 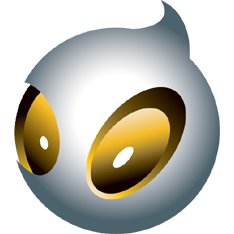 Dignitas has a shot in every match, but overall 3-1 Rox seems to be most likely. I don't see how people can say Dignitas is favored in this. Today I didn't even have to use my AK, I gotta say it was a good day. empire not putting a single terran... am i dreaming?